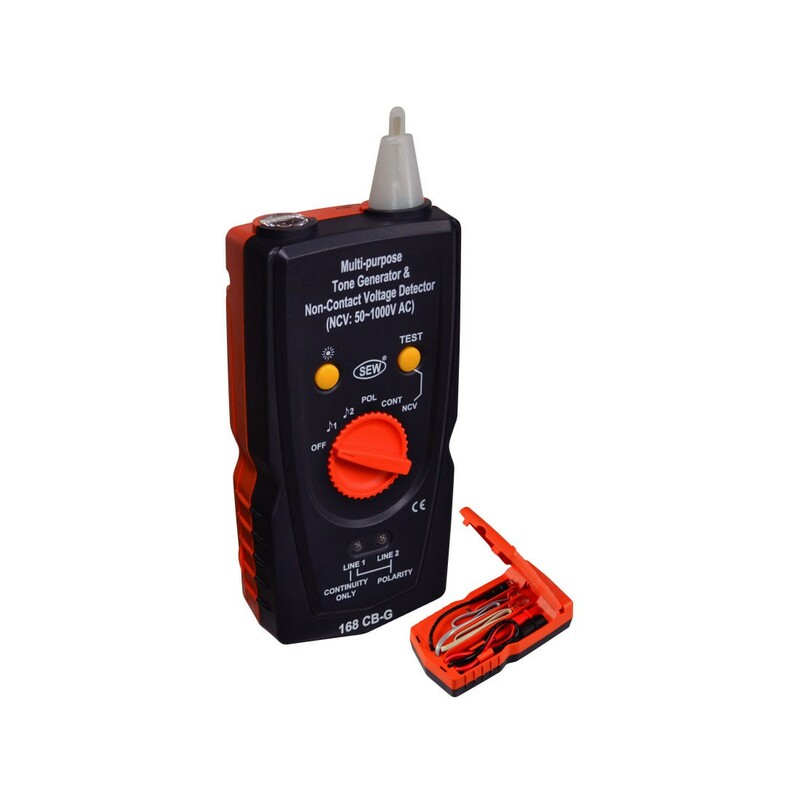 168CB tone generator includes four plug types RJ-11, RJ-45, Coax, and Alligator clips to identify and trace wires or cables. The unit back flips so that you can easily store all the cables, no more looking for the proper plug to get the job done. Two audible tones, polarity checks, test feature, bright LED's, audible alarm, and flashlight function let you get the job done quickly and efficiently. 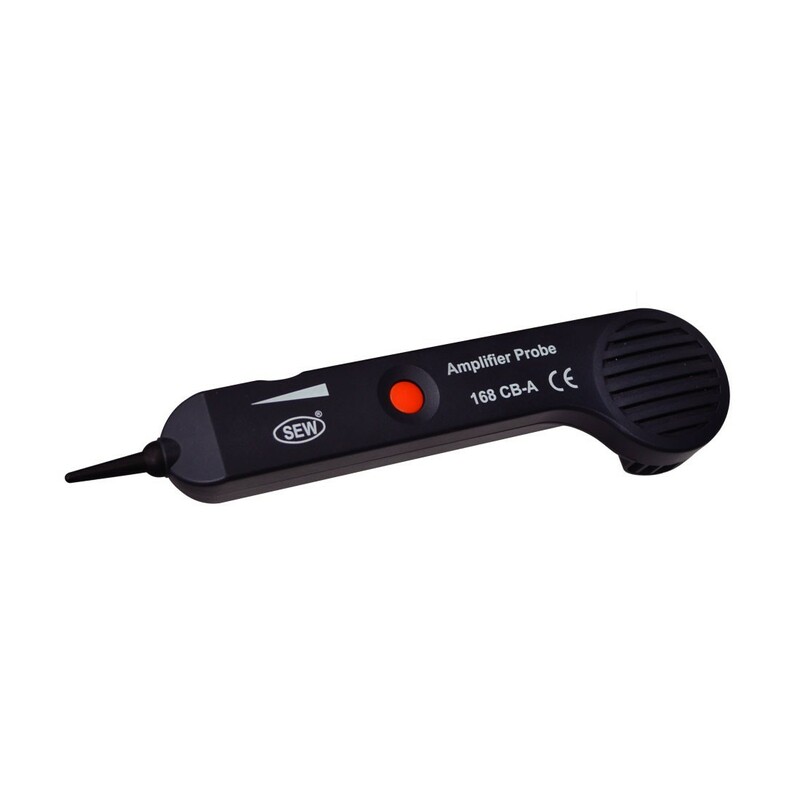 Multi-purpose Tone Generator & Amplifier Probe kit with Non-contact Voltage Detector.